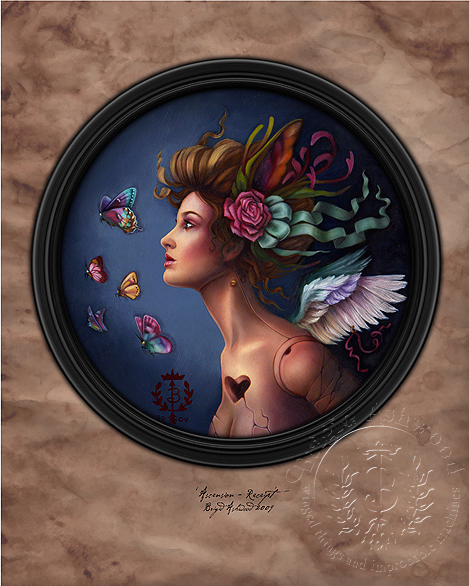 Brigid Ashwood is an artist and writer known for her beautiful portraiture, fantasy aesthetic, and steampunk sensibilities. 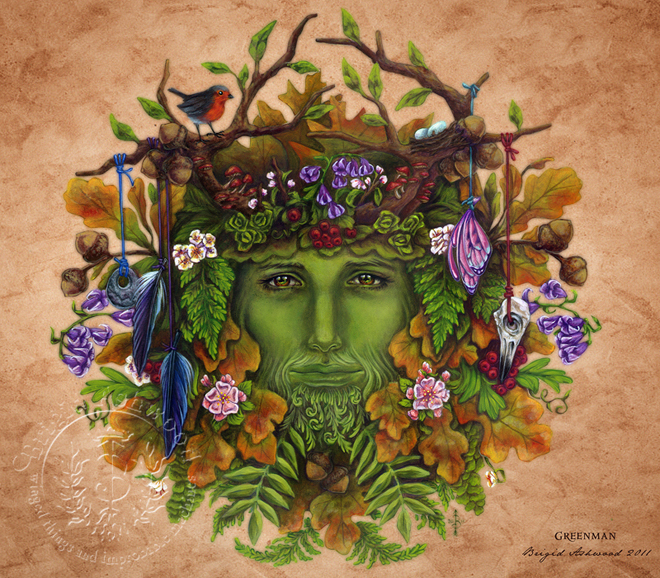 Her visual work has appeared in Faerie Magazine, Imagine FX, Watercolor Faeries, and she is the author and illustrator of The Earth Child’s Handbook Volume I and II. We first featured Brigid’s work in this article about Abney Park and their crossover from Steampunk into the fairy realm. We were so pleased when Brigid agreed to an interview with FairyRoom. 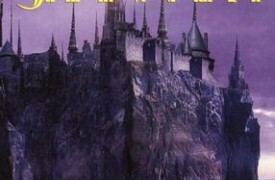 Would you start by describing the fairy/fantasy-related work you do? 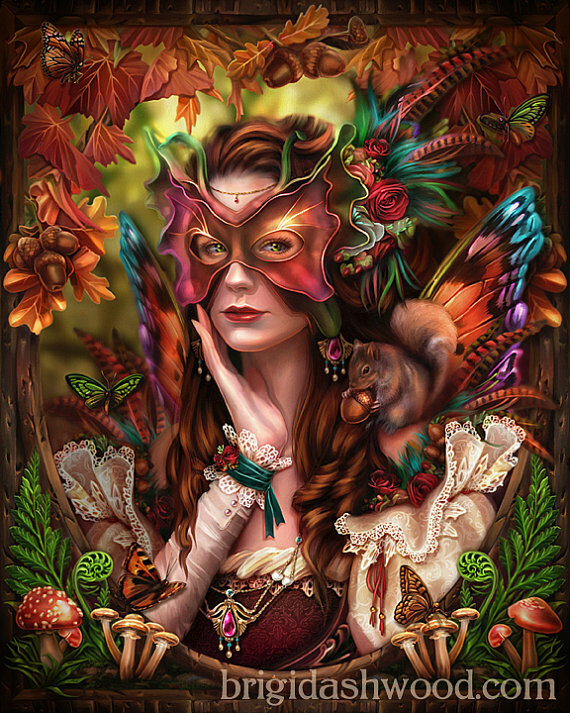 I work in a several different “genres”, fairy and fantasy being just one of many that includes fine art, new-age, steampunk, new-brow/surrealism and neo-victorian illustration. 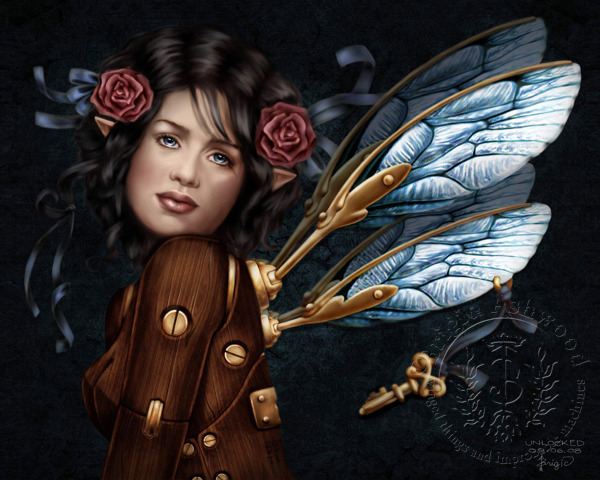 In my fairy-related art I’m probably best know for my steampunk fairies, manga fairies and my fairy portrait series. 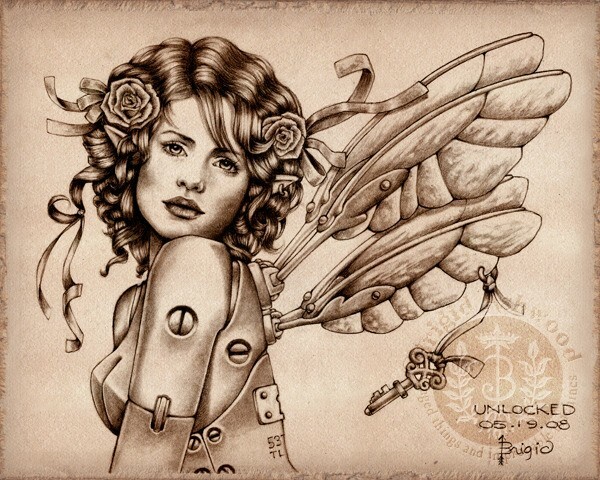 My fine art (which is what I call anything that I’m painting that comes from a purely personal artistic motivation and isn’t pre-attached to a commercial project) these days tends to reflect a steampunk/ automaton/ goddess/ fairy-creature aesthetic. I know that’s a mouthful, but to me that’s what these creatures are, they are my muses. The best example of my private vision of the fairy realm is this recent illustration (at right) I did — it’s part of a larger project I’m working on. Other images in this same theme are on my site. Please tell us about your process. What inspires you? What are you working on right now? Music is my biggest inspiration. It releases the storyteller in me. Here is one of my iTunes playlists. At the moment I’m finding it very inspiring for the novel series I’m writing and the art that I’m painting that accompanies the story. I find that my art is most informed by a private internal story-telling process. This is something I’m working on making external actually. I’m currently working on a novel project that incorporates the realm of “fey” and a family of artists. Of course it will be illustrated! Readers that are interested can follow my Facebook Page to keep up to date on the novel progress. 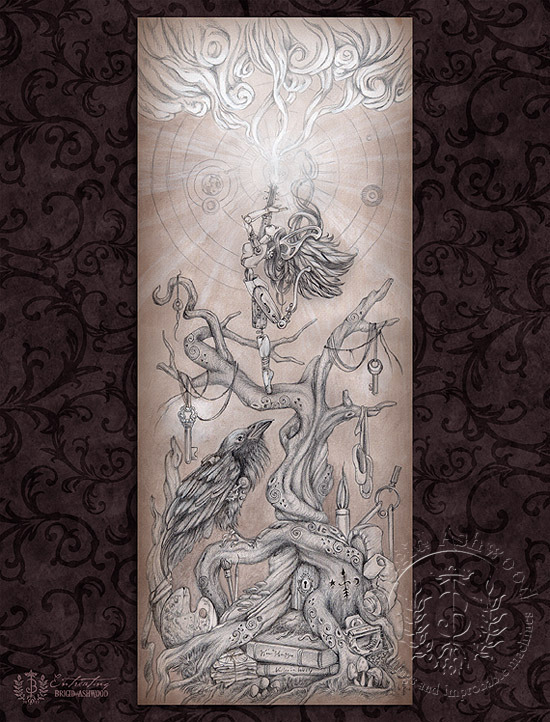 Another current project: I am illustrating The Raven for publisher Candlemark & Gleam. I’m illustrating the book as if it is a found antique that belonged to Poe himself. In fact one drawing from this project will make an appearance on the TV show The Following this January! Why fairies? 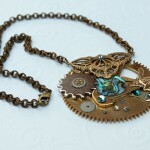 Why steampunk? What’s the inherent connection? 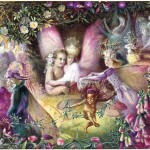 Do you have a favorite fairy? My favorite fairy character in literature would probably be Shakespeare’s Robin Goodfellow a.k.a Puck – his mischievous nature is closest to my vision of the fairy world. I also love Susanna Clarke’s book Jonathan Strange & Mr Norrell for the same reasons. 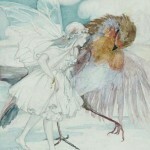 Her fairies are a return to the characterization of fairies from classic literature and fairytales. You frequently post two versions of a piece—a sepia-toned drawing and a color painting. But these drawings aren’t initial rough sketches, but detailed and finished… then you take it further with color. What motivates you to create these two versions? 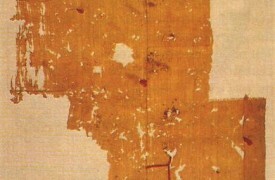 The sepia version you see of some images is actually part of a classic painting technique called Grisaille. It’s a fully shaded monochromatic rendering of an image before color is applied. It’s a technique I enjoy and I employ it often. Sometimes when I think an image might be nice in both color and in sepia I offer prints of it in both options. Brigid’s work is known globally and has been featured in exhibits around the country as well in books and international magazines. Her originals are collected by notable authors, musicians, actors and CEOs. 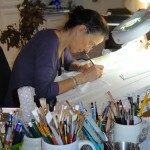 Brigid’s images have been licensed for a variety of products sold worldwide. A Maryland native she currently lives in the suburbs surrounding Dallas, Texas. In her spare time she writes for Wired’s GeekMom column. See more of Brigid’s work on her artist website, blog, Wired articles, and Etsy shop. 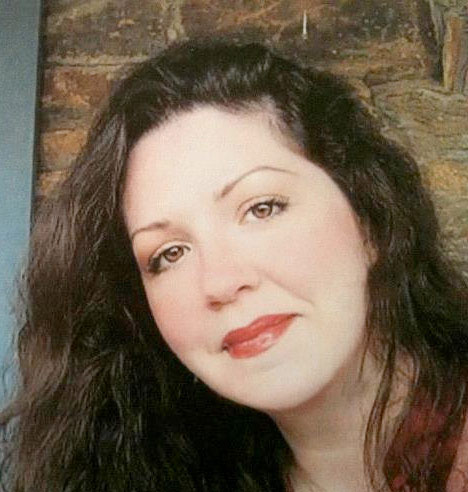 Connect with Brigid on Twitter, Facebook, Tumblr, Pinterest, and Google +. Today we're doing a spin on our New, Soon, & Classic series today, and shining the spotlight on Terry Brooks, one of the unequivocal masters of modern fantasy whose new series released yesterday. We're even changing out order to fit the reading order of the Shannara series books we're discussing below. We mentioned Wards of Faerie back in May, but there was hardly any information available at that time, so we decided it was worthy of a revisit.